Linear actuators are what really started the current huge move forward when it comes to automation, as they were what really allowed designers to create things which could control the entire house with ease. Actuators are used for motion which is precise and controlled, which means that it is perfect for the smaller sustained motions which are often needed for in-home devices. This has led to a proliferation of home automation technology, such as control motion systems and security systems, and coffee machines which can be controlled remotely. All of these things have been changing the way we use our homes and the way we interact with our devices in general, with the result that we now have fundamentally changed what home automation means in the context of what it once was. Technology is now so advanced that we can control it outside of the home, as well as inside. We still call it home automation, but home automation has been remotely accessible for several years now, and technology trends show that this is not going to stop. It is included in the information on linear actuators in some cases, that the equipment can be controlled from other sources, either from a hub or from a smartphone or other mobile devices. At first, the technology which could be operated remotely was the simplest and most common sense technology – heating and lighting, since both of these can have an adverse effect on bills, and part of home automation is about helping people to save money and enjoy their house more. The ability to control things remotely grew from there, with security systems being added first (making sense from a practical point of view also), and then more and more technology was added, up to and including coffee machines which could be remotely controlled to have a fresh cup of coffee waiting for the homeowner when they walked through the door. This remote operation is very useful, but it does raise the question of what we mean by home automation. Home automation is always in the home, but people no longer need to be in the home to operate it. Home automation is changing the way our homes work because it is making more and more home automation operation which is controlled by vocal commands, rather than by any physical interaction. The existence of hubs is something which has been physical before, but more and more people are now turning to ones which recognize people’s voices, and therefore can use those commands to control the whole house. 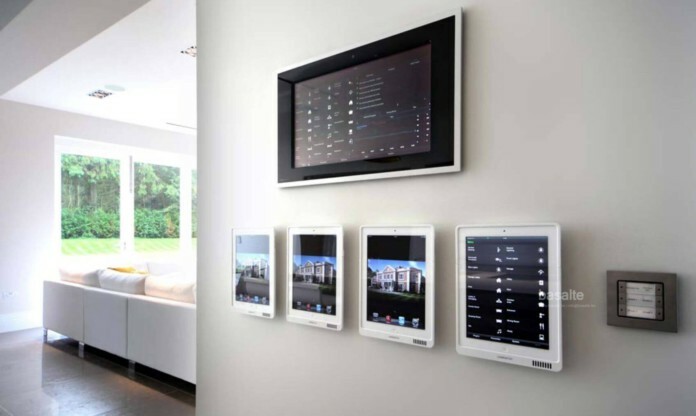 Home automation is becoming more and more hands-off in general, with other automation handling the original automation. Rather than having individual pieces of home automation, which are all operated individually, more and more people are using hubs. The hubs all connect to the individual home automation, and then connects to a remote device for the homeowner, or allows them to control all the home automation from that one central hub. This is moving forward from home automation which is entirely separate, to home automation which can act together, and which can be triggered by actions from other home automation, such as lights turning off when the security system turns on, and so forth.